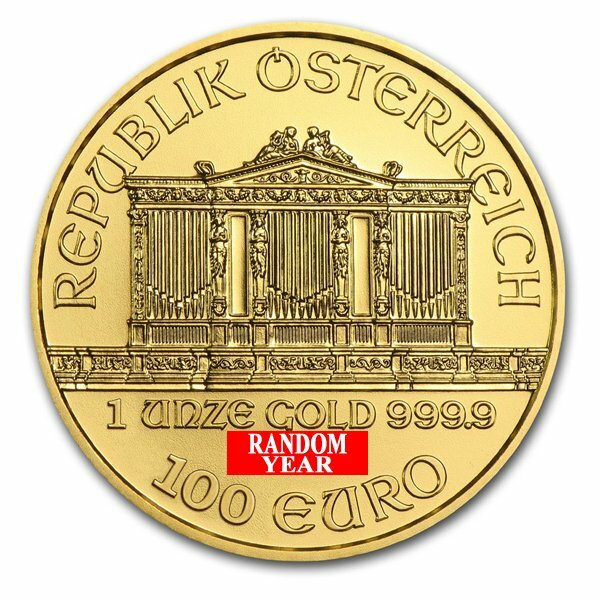 Random Year - 1 oz Austrian Philharmonic 9999 Fine Gold Coin. 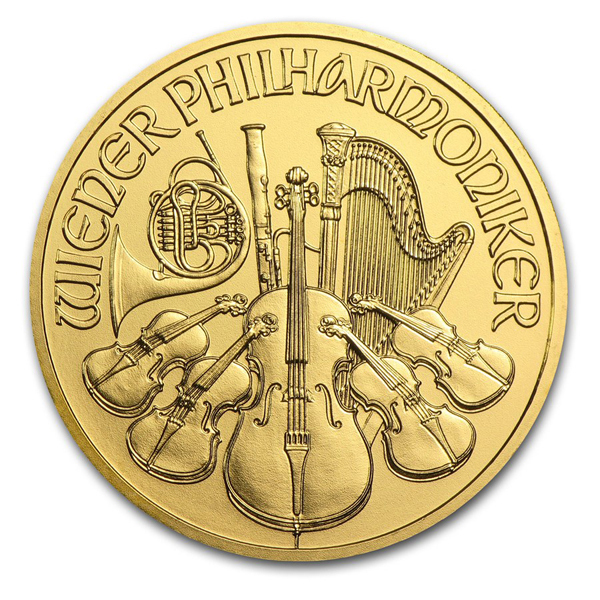 The obverse of the Gold Philharmonic coin features an image of the Great Organ of the Golden Hall in Vienna’s concert hall, the Musikverein. The reverse displays an array of instruments, including the bass, violin, harp, French horn and bassoon.